When most people look at their calendar for the year, they don’t often note how many times they’ll be visiting the dentist as a part of their regular check-up routine. The problem that occurs from this general pattern is that often, when people do visit their general dentist, it’s because they’ve already developed an oral health issue that very well could have been prevented in the first place. 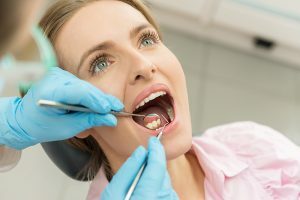 Irregularity of dental check-ups is one of the biggest sources of oral health problems that Los Altos dentist Dr. Jeffrey Diamond runs in to with patients. So… how often should you visit Dr. Jeffrey Diamond? Adults and children alike should schedule dental check-ups on a regular basis. For those people with a preexisting oral health issue, or one that comes to light as a part of one of your dental check-ups, Los Altos dentist Dr. Jeffrey Diamond might request to see you more frequently. For those who proceed with routine, Dr. Diamond will still probably hope you schedule an appointment at least twice a year. Regular visits to Legacy Dental Care are the best way to ensure your oral health is in top condition, so that your overall health and wellness are aiding you in being the best that you can be! If nothing hurts, why do I need to see Dr. Diamond? Believe it or not, pain is one of the last conditions to surface around oral health issues. Tooth pain is often a serious side effect of cavities that have already become deep enough to disturb gum tissue, meaning treatment might very well be a root canal, or even tooth removal to ultimately destroy the infection. Thankfully, by attending regular dental appointments with Dr. Jeffrey Diamond, you can ensure that your oral health is not in jeopardy in the face of cavities. The truth is, there are few things more important than your health and wellness, and one of the best ways to make sure you’re in top shape, is to start with your mouth! Regular dental check-ups are a vital step in keeping your healthiest self, so don’t hesitate to schedule your next dental check-up with Los Altos dentist Dr. Diamond today! For more information about regular dental check-ups, or to schedule your next appointment with Los Altos dentist Dr. Jeffrey Diamond at Legacy Dental Care, call 650-948-0786 today!